After our short trip in Sichuan my Aunties Lilian, Lilin and I went to Hong Kong to join my mom for my brother's second wedding ceremony. 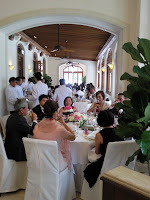 After the private wedding registration last January, this was the big banquet where my brother and his wife had invited all their Asian family and friends. They had chosen one of the few remnants of colonial architecture as the venue: the Repulse Bay, on the South side of Hong Kong island. 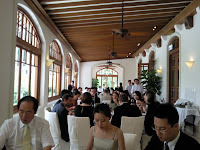 We had set luncheon of western food in a beautiful gallery. It all looked great. The food was good too. 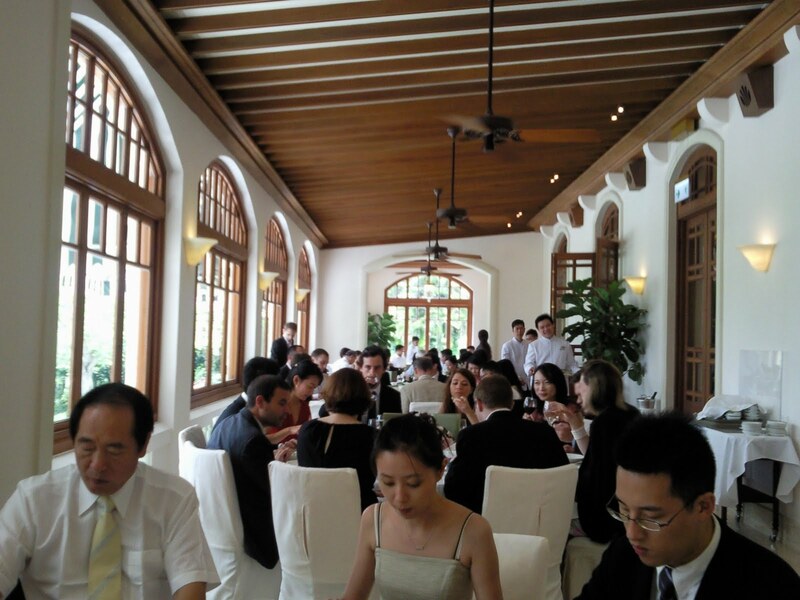 I particularly enjoyed the fresh mushroom cream soup and the seared foie gras on a bed of lentils. The finishing touch of the individual hot chocolate fudge cake was to die for.